A fun and easy way to free up your hands, these True Fabrications plate clips can onto any plate and will securely hold a wine glass. 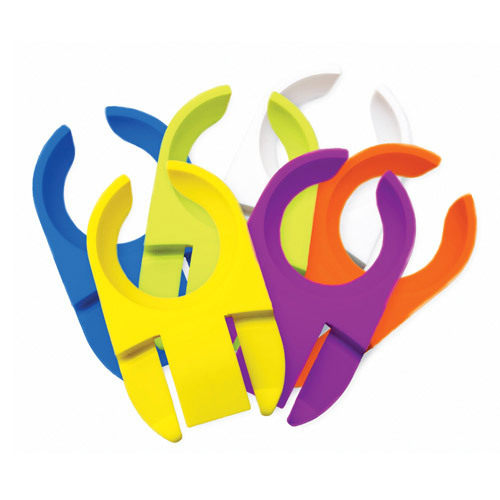 With a durable multi-colored plastic, this set of six plate clips comes in a variety of bright colors. 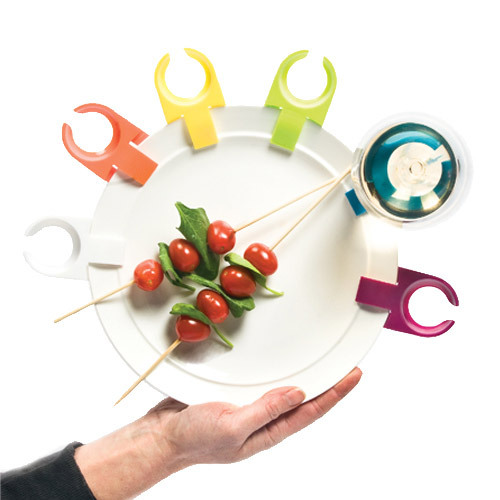 Perfect for parties, these clips will allow your guests to hold their plate and drink in one hand and have the other hand free. These clips could also be used to hold condiments, napkins, or large flatware.